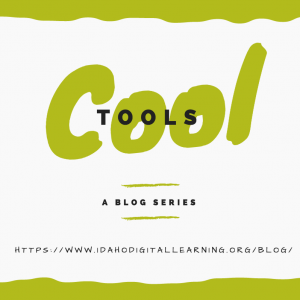 Idaho Digital Learning’s Cool Tools Blog Series wraps up with content and interactivity resources for all subjects. As an added bonus we have included resources specific to Social Studies, Humanities, Math and Science. We hope you have found this useful and informative. Be looking for future resource series. Watch Know Learn: This site offers educational videos, sorted by content area. NPR: A good resource of current events, including archived programs and podcasts. TED Talks: This site houses all the archived TED Talks from around the world. SAS Curriculum Pathways: FREE, interactive lesson content. A learning object repository. Why use? World Digital Library: Digital library for world history, religion, art, etc… Including primary and secondary sources. Khan Academy: Instructional videos in all subjects. OER Commons: OER repository of lessons. Searchable by subject, grade, and standard. Google Arts and Culture: This is a digital archive of art from around the world, and virtual field trips to museums around the world. PBS Frontline: Idaho Public Television current events. America in Class: Primary source and secondary sources for American History. The Living Room Candidate: Primary source material for American Presidential Candidate propaganda. iCivics: OER Social Studies lessons. Digital Vaults: Interactive, searchable database from the National Archives. Ben Franklin Interactive Timeline: This is an interactive timeline of the events of the life of Ben Franklin. Multiple media options, and students can filter by theme. C-Span Classroom: Current events, resources, and lesson plan materials from C-Span. The Economics of Seinfeld: Economics principles explained through clips from Seinfeld. Econedlink: Lesson plans and resources for Economics and Personal Finance. Mapping America: Interactive map displaying US Census data. EDSITEment! : Lesson plan and resource library for Social Studies and Humanities. We Choose the Moon: Interactive primary source material from the Apollo 11 Mission. Quandry: Role playing game about moral dilemmas, set in futuristic setting. Illuminations: Provides lesson plans, interactive activities, mobile games, and brainteasers that teachers can bring into their lessons. Absurd Math: Mathematical problem solving game series. The player proceeds on missions in a strange world where the ultimate power consists of mathematical skill and knowledge. Many of the pages have hidden clues and integrate careful reading with math. Mathalicious: Free lesson plans providing real world problem solving scenarios, aligned to standards. Desmos Graphing Calculator: This is a free graphing tool. Get the Math: Interactive, real-world problem solving applying mathematical concepts. Biomodel: Chemistry and Biology Interactives. Can be run on a tablet if “Jsmol” option is selected. The Physics Aviary: A free collection of games, tools and virtual labs for physics. Code.org: Use free curriculum to teach students to problem solve, code, and apply creative thinking within the context of science or math. For further PD using code.org curriculum visit the Idaho Digital Learning PD Portal. NASA: Searchable database of lesson content and activities. ChemCollective Murder Mystery: Students play an Flash based free “murder mystery” game using their chemistry skills. Complete with teacher resources and Interactive movies and clues to guide students along. Kinetic City: Interactive Science simulations and games (good for Grades 1-6) Check out the Nastro Virus! Seer Training Modules: Anatomy/Physiology training modules from the National Cancer Institute. Complete with graphics and quizzes. Have Questions? Want to learn more? Get in touch with us! © 2019 Idaho Digital Learning.